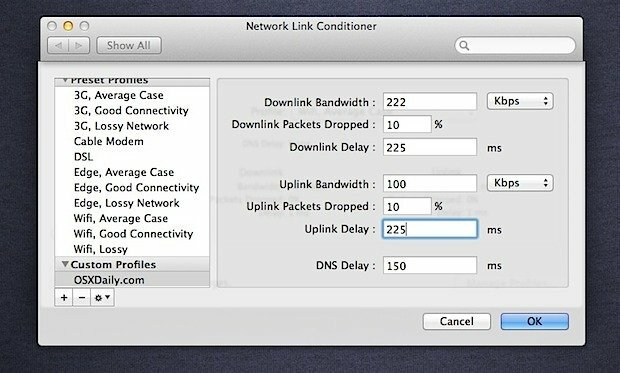 Network Link Conditioner is a utility for Mac OS X Lion 10.7 that enables you to simulate unfit network conditions with good connectivity. It is a highly customizable and beneficial utility for gaming and other animation related sites that rely heavily on network connectivity. Principally, this Network Link Conditioner utility was designed for Mac and iOS developers to test response time of the developed applications under different network conditions. At first, you need to install ‘Xcode’. Xcode is a storeroom of tools developed by Apple Inc. to develop software for Mac OS X and iOS. Xcode can be downloaded for free for OS X Lion 10.7 from Mac App Store. 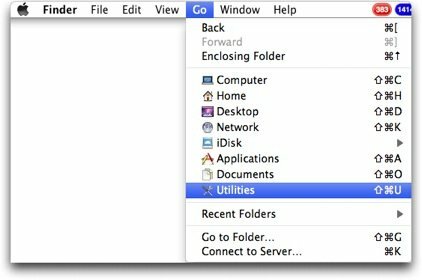 After the Xcode is installed, navigate the pointer to ‘Go’ menu, select the ‘Utilities’ option and search for ‘Network Link Conditioner’. Double click the ‘Network Link Conditioner.prefPane’ to run the tool. If you are of the view that the existing bandwidth profiles is too limiting, click on the little lock icon, residing in the lower left corner and then on ‘Manage Profiles…’ tab to edit or create a new profile. Here you can introduce the changes like response delay, up and down packets dropped, downlink and uplink bandwidth and even DNS delay. 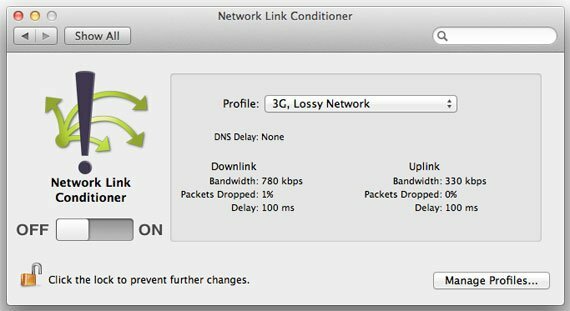 In this way you can use Network Link Conditioner for Mac OS X Lion 10.7 to simulate Internet connectivity speed.